A new generation of technology designed to thwart identity theft almost put a North Las Vegas credit card manufacturing facility out of business. But a last-minute deal promises a brighter future for about 250 workers and likely better service for Las Vegas hotels. CPI Card Group, a manufacturer of secure credit cards, moved that work to facilities elsewhere that offered newer technology. That left the North Las Vegas plant up for sale … or worse. PLI, a North Carolina manufacturer of less secure gift cards, loyalty cards and hotel room keys, saw an opportunity and stepped in. Negotiators cut it close; the plant was closed for a few days in mid-January before PLI took over. Financial terms of the transaction were not disclosed. 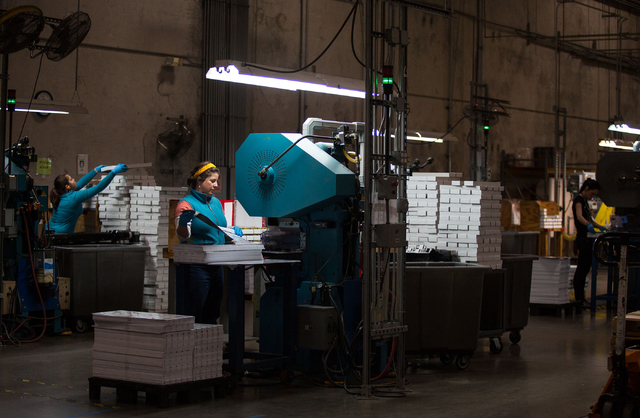 CPI Card Group’s printing operations in North Las Vegas was once a major competitor of PLI. The deal makes PLI, already the world’s largest producer of hotel keycards, an even bigger player in the printing business. 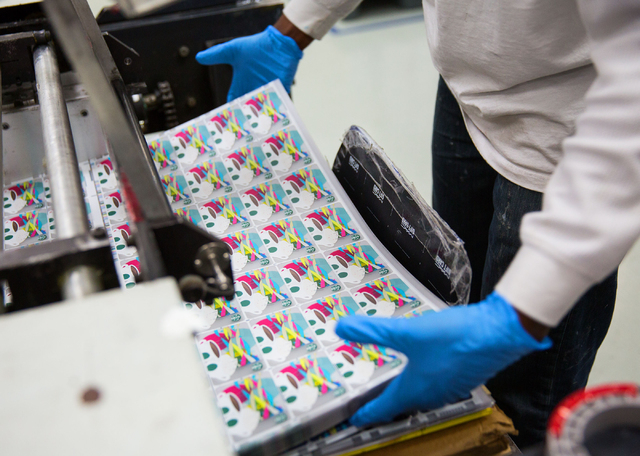 “In the commercial card specialty print industry, this deal made us the largest in our space— in terms of revenue and terms of production volume,” Krauss said. The North Las Vegas plant’s 155,000 square feet of space will be used to serve 200 of CPI’s former clients including Wal-Mart, Lowe’s, Starbucks and other well-known brands. Card Manufacturing Director Tony Ganci said the purchase included only the assets, or equipment inside the building, but many of CPI’s old clients staying on with PLI. CPI had shut the plant down in mid-January. Their main business is manufacturing credit cards with EMV or smart chip technology and other related services. 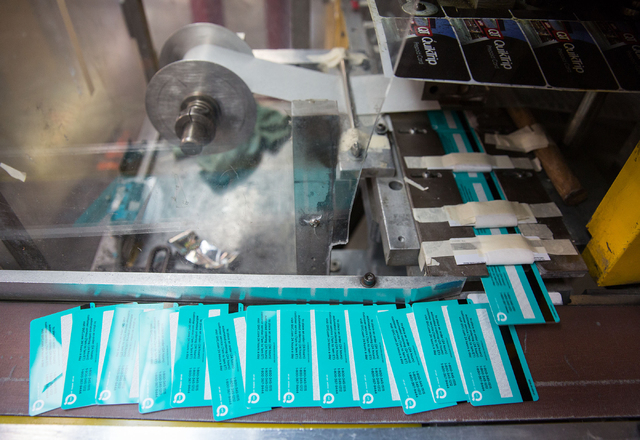 CPI’s sale of the Las Vegas division was part of a shift toward focusing attention on the company’s main business: secure card production. “What we decided was to focus more of our attention on the secure side or the branded card side of our business,” CPI Card Group CEO Steve Montoross said. CPI is the largest provider for Visa, Mastercard, American Express and Discover card in the Unted States. The sale of the plant was the best alternative, Montross said. CPI’s main operation is in Colorado, and they have five other facilities in the U.S. plus one in Canada and three others in the United Kingdom. CPI’s next moves in the secure card division will be in EMV or smart chip technology. The industry is looking to upgrade to technology for higher security. Montross explained that magnetic strip cards can be read easily by fraudsters but the chip cards are much safer. “If you have that chip card, all of the information that you have, the real confidential information, is encrypted on that chip,” Montross said. 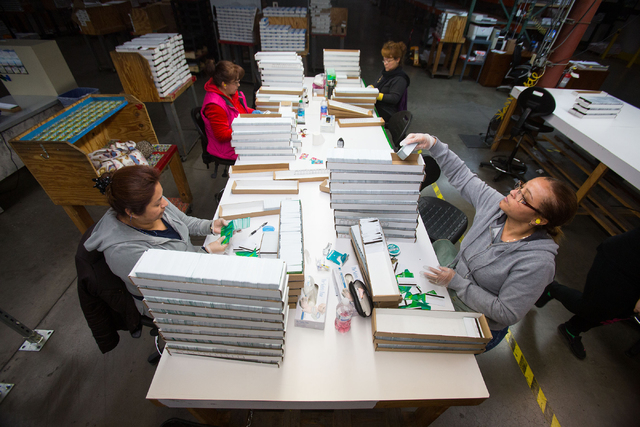 The North Las Vegas plant’s strength is in producing less-secure cards. And lots of them. “Because this is our main focus, this was a great opportunity to pick up this facility — the printing capacity they have, the capabilities they have,” Krauss said. Krauss’ firm benefited from the sale by getting a competitor out of that business and picking up new technology at the same time. The move benefited both PLI and Nevada. “CPI was about to lay off 308 people, shut this facility down and sell the assets in some kind of an asset sale,” Krauss said. But Krauss didn’t want to see that happen. The crew didn’t stay unemployed for long; the plant was shut down for only a couple of days. “Our goal was to minimize the disruption of the facility, to minimize the downtime and the unemployment time of the people and to get everybody back to work as quickly as possible,” Krauss said. PLI also offered its new employees something they didn’t previously have. All of the nearly 250 people they hired became employee owners, Krauss said. Plans to start printing for PLI’s existing clients at the plant are still in the formative stage, Ganci said. The hotel key cards for MGM Resorts International and Caesars Entertainment Corp., for example, have been printed in PLI’s headquarters in Asheville. That work will be heading back to the valley’s operations, Krauss said. “With the acquisition of this facility, we’ll bring all that work back home to Las Vegas,” Krauss said. The move eases PLI’s logistics. Krauss added that there are other benefits to opening PLI’s first West Coast plant. PLI also serves several international clients through its distribution centers in Canada; Dubai, United Arab Emirates; and the Netherlands. The North Las Vegas plant produces about 265 million cards per year on average, but can print 600 million cards annually, Ganci said. Ganci said the plant was running only two shifts but could increase production volume if a third shift was added. Krauss said that between the facilities in North Carolina and Las Vegas, PLI can produce 1.5 billion cards annually and do it in an environmentally friendly way. “We don’t just print on plastic,” Krauss said. 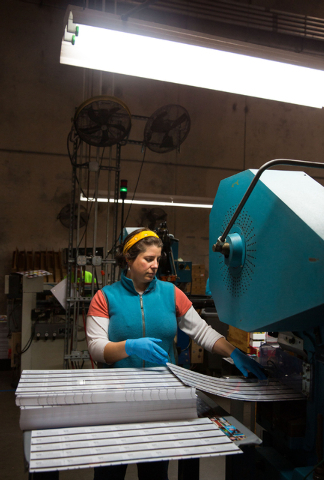 “We print on paper — biodegradable and recyclable substrates, even biodegradable paper and fiberboard.” Krauss added the plant recycles all of its scrap material.